Upon realizing the involvement of Egypt’s power elite in the case, Noredin slowly changes sides to those who are defenceless against it. Mareel North Ness Lerwick ZE1 0WQ 01595 745500 8 & 11 Apr. Tarik Saleh was born 1972 in Stockholm. He and Kristina Åberg are two of the founders of Atmo. His most recent film, TOMMY (2014), was a thriller featuring Moa Gammel, Ola Rapace, and singer/songwriter Lykke Li. Saleh directed and co-wrote METROPIA (2009 Venice International Film Festival), featuring Vincent Gallo, Juliette Lewis, and Stellan Skarsgård, and he has directed award-winning documentaries, such as GITMO. Saleh produced the music video I Follow Rivers for Lykke Li, which has had nearly 60 million YouTube views. 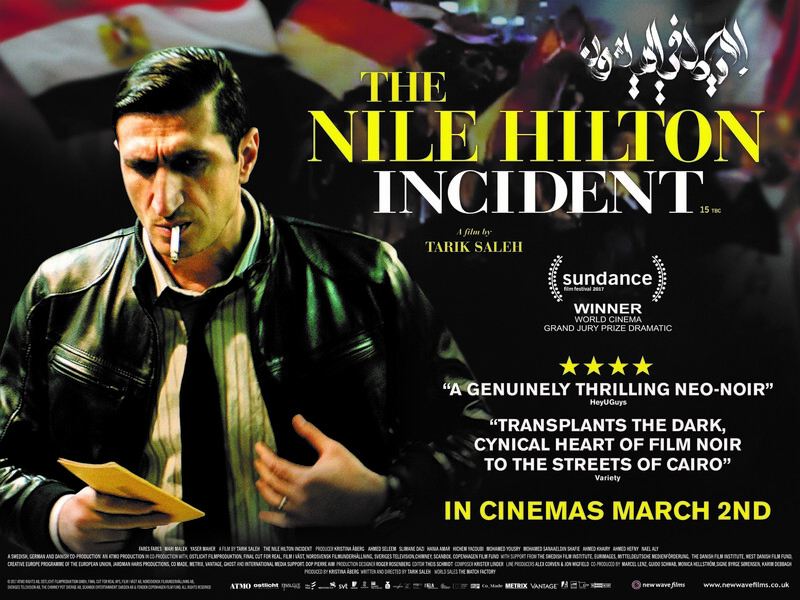 'Corruption seeps into every pore of Egyptian society in Tarik Saleh’s impressive thriller. This is a political thriller which takes its inspiration from Roman Polanski’s Chinatown. The convulsions elsewhere in the Middle East, for example in nearby Tunisia, are of no interest to Noredin, played in wonderfully lugubrious and fatalistic fashion by the imposing Fares, who seems at times like an Egyptian Philip Marlowe.